In a democracy, the votes of the poor and the rich should have equal weight. In post-apartheid SA, however, elections have revolved around the preoccupations of the middle class rather than those of the far more numerous poor. The middle class lobbies hard on its own behalf. It is now more black than white. Many of its members are vulnerable, lacking assets to plan for the future or bounce back from shocks such as redundancy or illness. The loss of one job is often enough to plunge an entire family into poverty. The pathways to middle-class life, through suburban schools and permanent employment, are narrow and often inhospitable to the children of the poor. Some of the key motors of stable employment growth, notably the public sector and parastatals, face major cutbacks. The whole middle class, black and white alike, is experiencing slow income growth. Free from extreme poverty, the middle class nevertheless lacks a ladder of social and economic opportunity. Yet the small and consumerist elite above them keeps forging ahead. Though much of the middle class may work in the public sector, its primary drive is to escape public services — public hospitals, township schools, public policing — rather than to improve them. Middle-class electors are impatient with politicians who do not listen to them, and they register and vote in provinces where there is real competition for power. 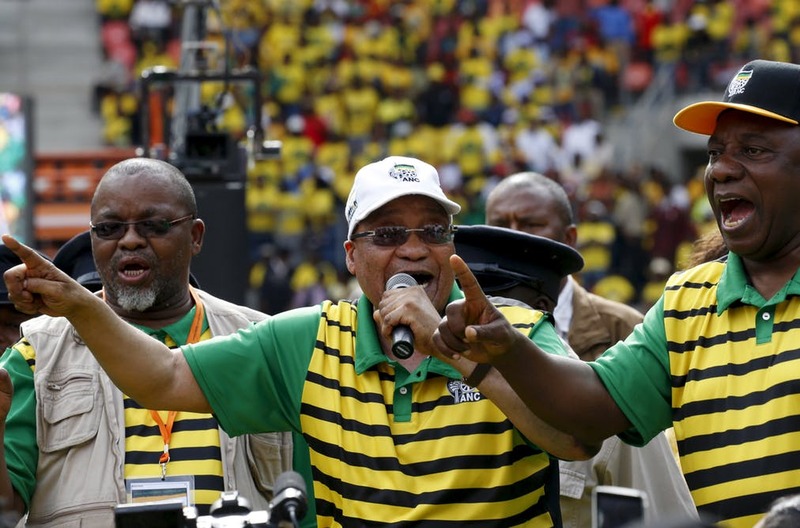 The economic heartland of the country, Gauteng, is now theirs to fight over. And they have the knowledge and resources to voice their numerous grievances. They readily evade or avoid taxes. They refuse to pay user charges for services if they view those charges as illegitimate. Despite the public resources ploughed into their education, many are prepared to emigrate, taking their skills and intangible assets with them. When it comes to the poor, by contrast, political leaders rarely respond to their grievances, even when an election is just around the corner. This is a surprise because about half of the population can reasonably be described as chronically poor — and therefore they have lots of votes to cast. One classic stereotype concerning this half of the population was on display in a controversial opinion piece written by Moeletsi Mbeki in 2011. Warning of SA’s impending “Tunisia Day”, Mbeki argued that the ANC uses social grants — which today account for more than half of the income of poverty-stricken households — to “placate the black poor and get their votes”. When the money runs out, the masses will apparently “rise up”. There are many reasons why the poor are unlikely to rise up, of course, and these are closely related to their inability to secure a fair hearing from political parties. One is that popular protest is still met by the implacable use of state coercion. City planning and policing approaches continue to facilitate the containment of discontented urban populations. The poor are also disproportionately young, often too young to vote. 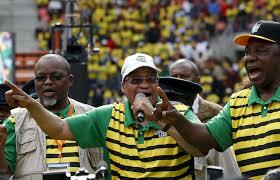 A majority of them live in former Bantustans or deep rural areas, where political competition is limited. Most poor people live in female-headed households whose voice is ignored. They lack access to the infrastructure of nongovernmental organisations, local parties and interest groups that is needed to realise the promise of constitutional democracy. While the major political parties have focused on the concerns of the middle class, the poor have had to improve their own prospects. One strategy has been to make ends meet in survivalist rural livelihoods. Another has been to move to the towns and the cities in search of work and better public services. One favour the EFF has done for the country in advance of the 2019 elections is to broaden debate on land reform so it now embraces the concerns of the poor. The exploitative behaviour of many traditional authorities, and the failure of policies that could make urban land accessible to the poor, will probably be prominent themes in the campaign. The interests of the poor, for the first time, may take centre stage.